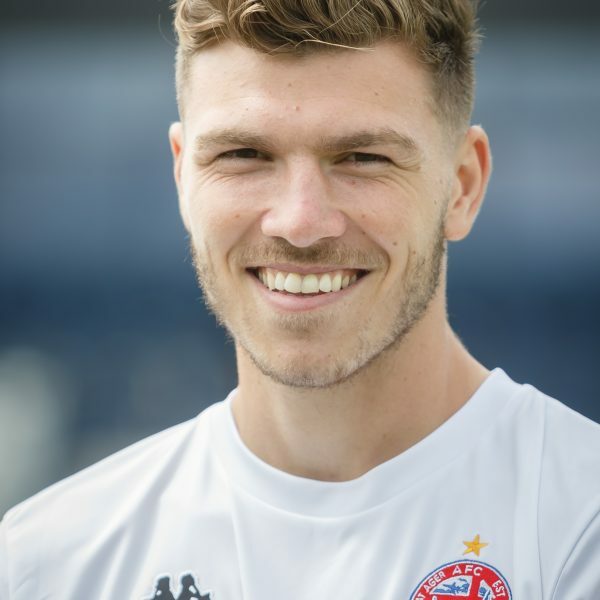 Jordan Tunnicliffe became Fylde’s first signing of the 2017/18 season when he arrived from Kidderminster Harriers following the end of his contract at the Birmingham-based club. The 24-year old began his career at Premier League side West Bromwich Albion before moving to Yorkshire outfit Barnsley. A loan move from the Tykes to Stalybridge following before Tunnicliffe moved back to Birmingham to join Kidderminster. A strong, dominant centre-back, Tunnicliffe was widely regarded as one of the best defenders during the 2016/17 National League North season. Tunnicliffe played a major role in pushing Fylde all the way in the promotion race, making 44 appearances in the league for Kidderminster, before succumbing in the playoffs to Chorley. Tunnicliffe’s contribution to Kidderminster was shown at the end of the season as he was voted the club’s Player of the Season. During the 17/18 season, Tunnicliffe was an integral part of the team’s success and featured in 47 games including the FA Cup 2nd Round tie vs Wigan Athletic.